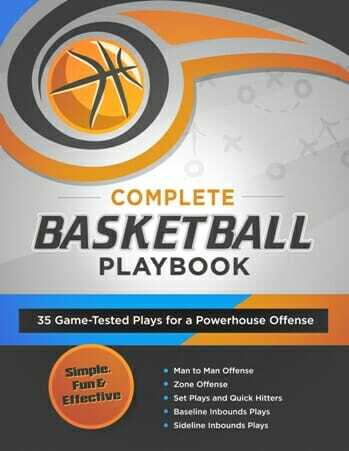 As a power forward or center, learning the value of reversing the ball is one of the first things you should learn. In the post, position reigns supreme, and if your post players know how anticipate the reversal of the ball they can get a significant advantage in the post. 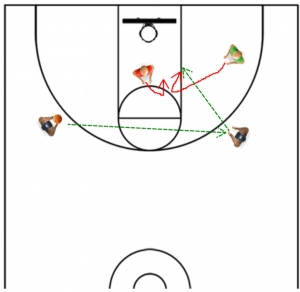 These two drills are an effective way to teach your big men the proper instincts down low. One of the best times to reverse the ball, is when your up in the high post – a quick cut as the ball is swung around the wing can often create great separation between yourself and the defender, leading to an easy shot close to the hoop. Have two coaches lineup, one at the top of the key, and the other on the wing. 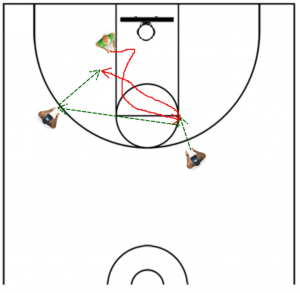 Your player will start on the block, on the same side as the coach, and flash up to the high post receiving the pass from the other coach. They’ll square up, look at the hoop, and then pass the ball right back. 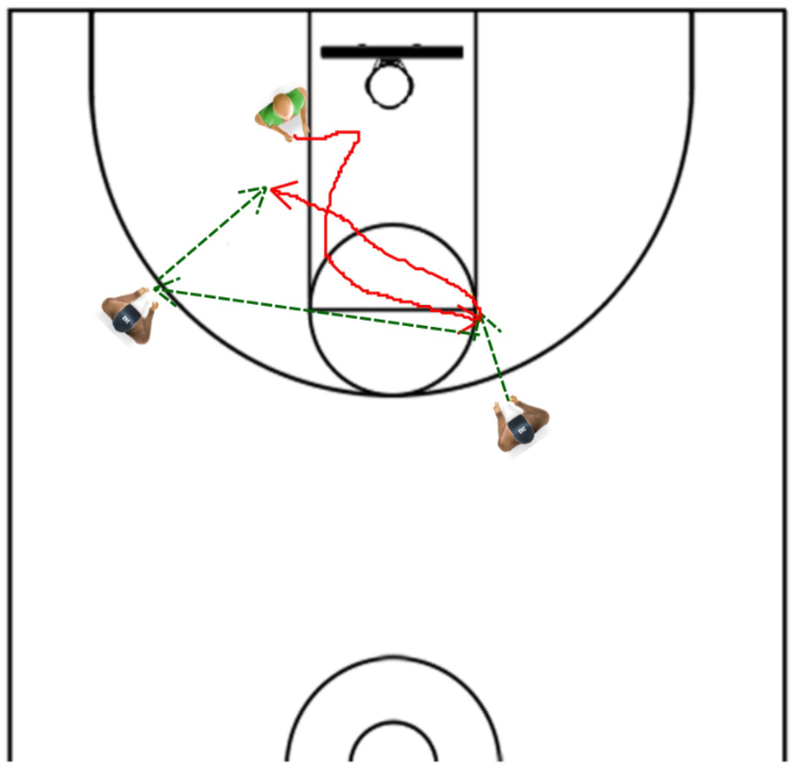 Now as the coach at the top of the key makes the pass to the coach on the wing, the post player will cut across the key, looking to catch the ball somewhere between the block and the short corner. 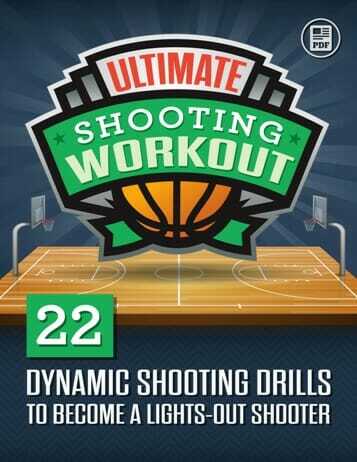 They can take a hook shot, or one dribble and go strong up with two hands. Here were going to simulate getting jammed up in the key, and learning how to use that to our advantage. With a coach lined up on each wing, and your post player on the weak side block, have a defender setup in the middle of the paint. Now the post player is going to come across the paint and get jammed up. Now the coach is going to pass the ball across the court. 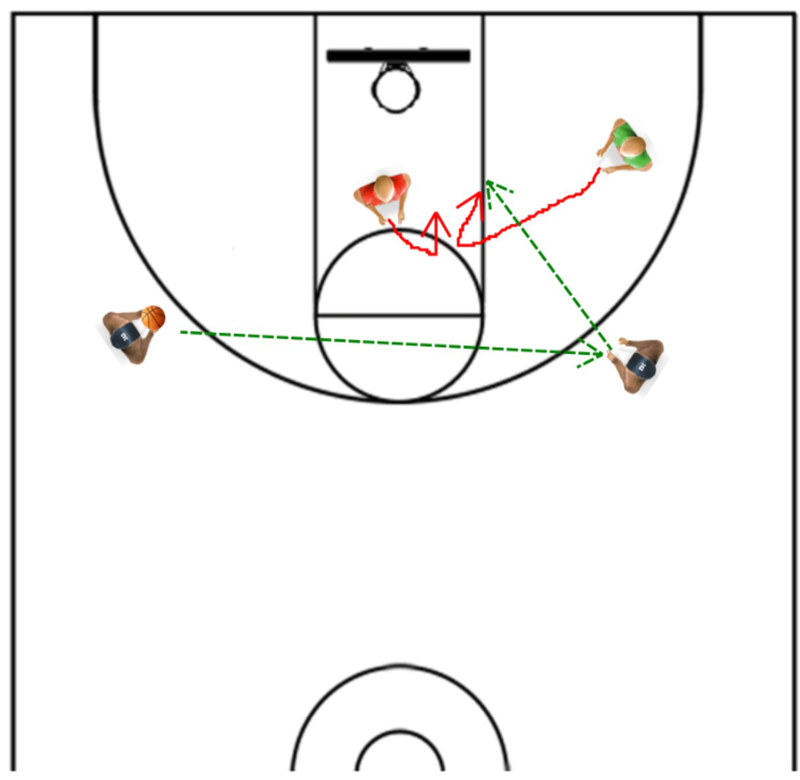 The post player will now pivot, sealing the defender behind him and clearing out a big lane underneath the hoop. The coach will hit him with a pass, and he’ll go up strong with the move of his choice. If you’re looking for more ways to improve your output in the low post, make sure to check out our entire archive of rebounding drills! And if you’ve got any questions, make sure to let me know below! 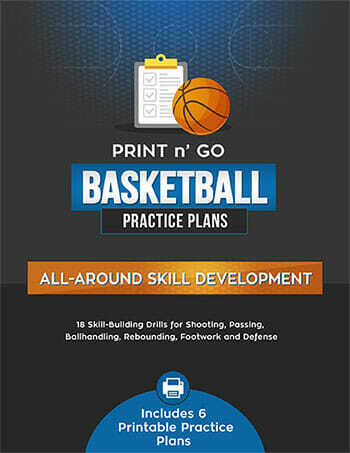 Can you give tips on how a forward and center should block a shooter without fouling.